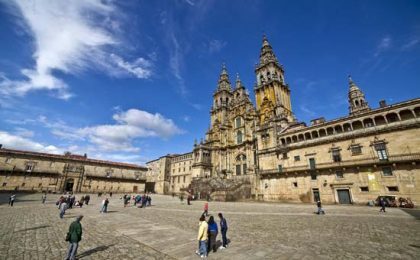 Our new tour introduced in 2018 offers a walking tour of the Camino to Santiago de Compostela. 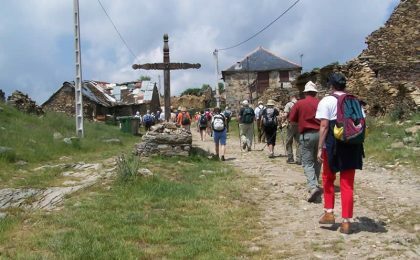 This journey will start in the east at Sarria and each day we walk between 14 to 18 miles, until arriving in Santiago. This journey offers the authentic pilgrim experience. 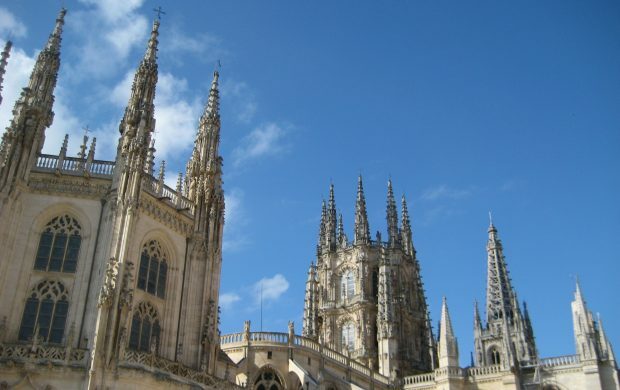 We finish our walks with a day in Santiago, including a half day guided tour, a visit to the famous Cathedral of St James, and watching the famous Botafumeiro swing during pilgrim mass. You also enjoy free time in the city to explore at your leisure, and we include a farewell dinner in a local restaurant, featuring the traditional 'Quiemada' ceremony. This is a walking holiday, with no coach back-up, so a certain level of fitness is required. You may consider a few preparatory walks before departure. If you to decide to miss a day of walking, or need a rest, a taxi can be arranged. Luggage will be transported between each hotel, so you only need to travel with a day pack, water, rainwear, etc. 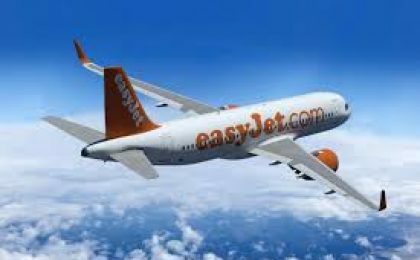 We have designed our Travel Club holidays to offer great value, be packed with interest and pilgrimage based. This is an opportunity to meet up with pilgrims from previous experiences. Departure from London direct to Santiago de Compostela for a two hour flight. 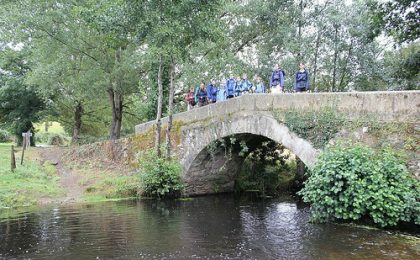 We drive seventy miles East to the starting point of our pilgrimage at Sarria, a traditional stop on The Way, with plenty of time to relax and recover from the journey. Dinner and overnight stay at the Alfonso IX Hotel in Sarria. We walk through the shady oak woods and quiet country roads to the village of Barbadelo. We continue through the Galician countryside, ascending to Pena dos Corvos to take in the panoramic views, before reaching our destination for the evening, Portomarin where we have dinner and stay overnight. 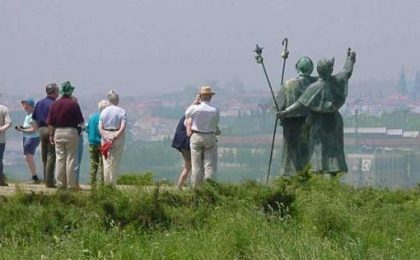 From Portomarin, the Camino crosses the river Minho and climbs uphill to Gonzar, passing the Romanesque church of Santa Maria, Castromaior. A downhill walk takes us to our overnight stop. 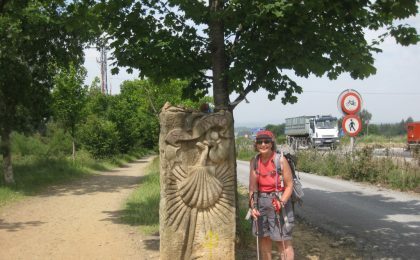 Today the Camino continues downhill, passing charming villages before reaching Melide, a popular town with plenty of restaurants serving the local speciality, Pulpo. (Octopus!) We walk through forest track in the eucalyptus woods before reaching Arzua. One of the quieter parts of the Camino. 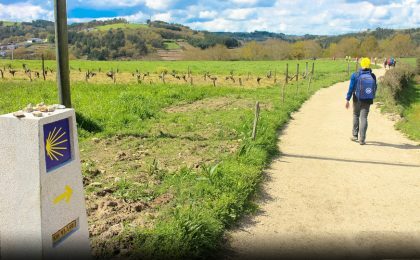 We walk through sleepy villages on flat roads and quiet country paths towards our overnight stay in Lavacolla, where originally pilgrims washed themselves in the river before their arrival in Santiago. In the morning, we have a guided tour of Santiago Old Town. The cathedral has a Baroque façade hiding the much earlier Romanesque building set on the site where in the 8th century the tomb of St James was discovered. We join the Pilgrim Mass at noon and hope to see the Botafumeiro swing. 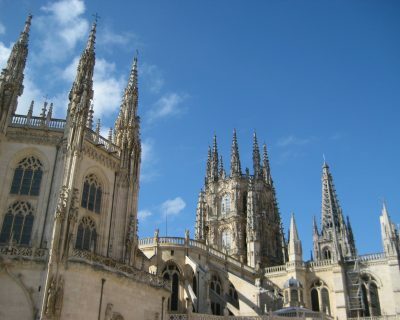 Enjoy an afternoon in Santiago at leisure, exploring the winding streets and fascinating architecture . In the evening, we enjoy a farewell dinner in a local restaurant, featuring the traditional 'Quiemada' drink ceremony. We depart our hotel for a short transfer to Santiago Airport. Our return flight is direct to London. Group meals are a highlight so breakfasts and dinners are included. 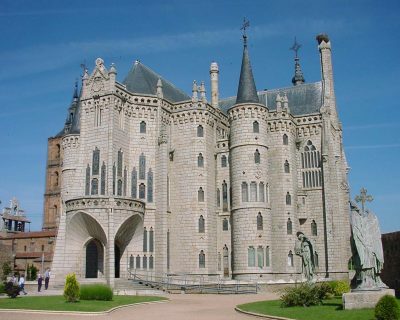 The cost also includes a room with private facilities, flights with 20kg of checked luggage and seat allocation, airport transfers in Spain, local guiding, and gratuities to those who help us on our journey. Travel insurance, single room supplement, lunches. The McCabe recommended insurance policy is designed for the older traveller. The premium for this pilgrimage is £49 (£74 for aged 75 and over), and we also recommend that older travellers obtain a note from their doctor stating that they are fit to travel. Do feel free to shop around as there are many suitable insurance options including annual policies on the market. We do insist that all travellers take out medical insurance. 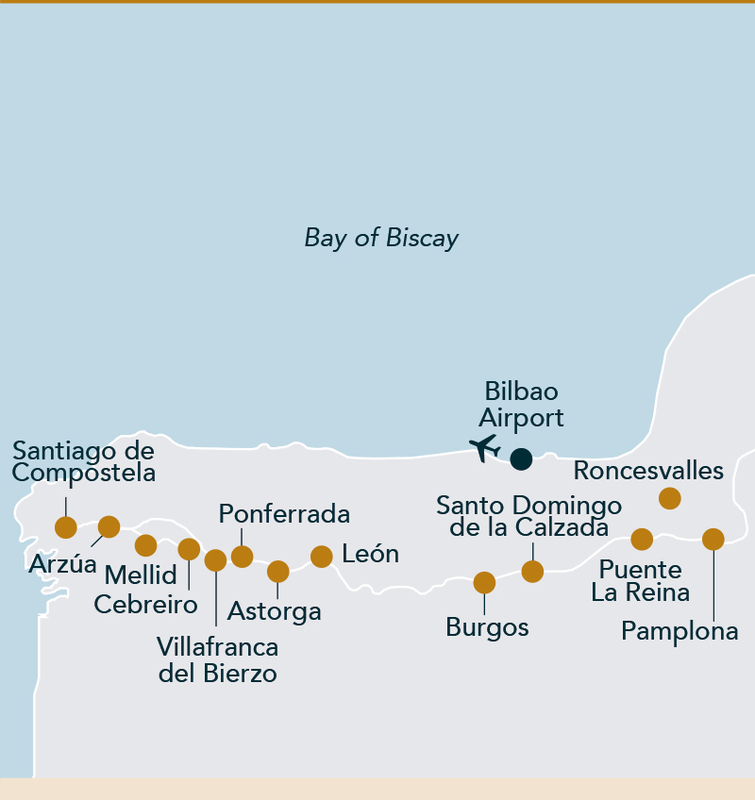 We fly from London directly to Santiago de Compostela airport. This is a two hour 10 minute flight. 20 kilos of checked-in luggage and pre allocated seats are included. McCabe Travel will require your passport details prior to departure, and will check you in, and issue your boarding passes with your final travel documents. 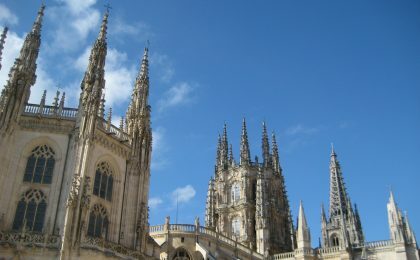 Sarria and Santiago, at the beginning and end of the week offer good four star accommodation. The four single nights of our walk will be in simpler hotels, but all are of an acceptable standard, and have been previously used by McCabe Travel groups. All rooms feature private facilities. Days generally start at 09:00 and finish around 18:00 with dinner served around 20:00. Lunches are not included as we like to keep flexibility of each day’s timings, but our tour managers are expert at recommending options each day. Most groups celebrate the Eucharist at a key point on the journey and at your destination we join in a pilgrim Mass in the cathedral of St James, where the great Botafumeiro is usually swung. Our final celebratory dinner includes the traditional end of pilgrimage “Quiemada” experience. The rhythm of this pilgrimage is not readings and prayers as in the Holy Land, but typically a great time of sharing. Our walks along The Way will vary in length and degree of difficulty, we will be walking between 14-18 miles each day, sometimes roadside on flat pavement, sometimes through country roads, cobbled paths and through woods & forests. Luggage is transported between hotels, so you only need to walk with a day pack. No special footwear, clothing or equipment is required, however we recommend sturdy and comfortable shoes. You are more than welcome to use walking poles, or wear anything that will make your walk more comfortable. The weather in the Galician region of Spain is a lot like English weather. You should be prepared for any eventuality, and don't expect the same weather as the balmy beaches of Southern Spain. Check that your passport is valid beyond the return date of this tour. If you need a new passport apply early as there can be considerable backlogs at the passport offices. There are minimal formalities for British passport holders entering Spain. If you are holding a non-British passport, or require further advice, please consult the McCabe office. No inoculations are required. We do, however, advise you to consult your doctor regarding your own personal requirements.